Why the different childbirth rules? In Leviticus 12 it talks about the purification of women after childbirth. One of the absolutely worst translation mistakes in Scripture substitutes the word ‘unclean’ for the Hebrew word ‘TaMEI’. If we could, we would go through all English Bibles crossing that word out. Please look at these two posts where we refute the bad translation and then come back so that we can deal with your specific question. Having, hopefully, expunged that terrible translation from your mind, we want to preface our answer by saying that we cannot do justice to this topic in the format available to us, but we do hope to give you a glimpse into reality. Now that you understand a bit more about what the word TaMEI conveys, you will see that the physical act of childbirth renders a woman TaMEI. She has lost a living part of herself and as much as she rejoices in the new baby, her body no longer houses a new life. That is a reality that mustn’t be ignored for her to move forward in a spiritually and mentally healthy way. As to the discrepancy between giving birth to a son or a daughter, if you think about it, you might see the beginning of an answer. In The Thorn Birds, Colleen McCullough’s best-selling book, the mother gives birth to many boys and one girl. There is a poignant sentence which speaks of her wonderment at having boys emerge from her body which isn’t present where her daughter is concerned. She (partially mistakenly) thinks that she understands her daughter by virtue of shared femininity. It is true that mothers have a deep understanding that the future ability to nurture new life is already present in their infant daughter’s body. They have given birth to someone who, with God’s blessing, will give birth as well. The extended period of TaMEI when the Temple stood, reflected that understanding. Your question, like many we receive had multiple parts. As we did in this case, we often edit these questions to answer only one part. It is the only way that we can keep this column from becoming too long. We hope that this at least starts you down a fresh, many thousands of years old, way of thinking. We love to clear up mistakes that come through mistranslations and, as we often do, add to a translation that might be adequate but insufficient. To search Ask the Rabbi, go to the main Ask the Rabbi page https://rabbidaniellapin.com/category/ask-the-rabbi/ and on the top right there is a search bar. I put in ‘discipline’ and got a few choices. I hope one of them helps. Isn’t technology wonderful and frustrating! I’ve also encountered this notion that the KJV (King James , or “Authorized” Version) of the Bible is “the perfect translation”. A number of years ago, upon joining a well established Christian church in the area to which we had relocated, and since the King James Version is my preferred translation, I at first found this to be very endearing. After moving into a leadership position, however, I quickly realized that there was something very serious, even pathological going on. At least within the southern evangelical denomination that we had decided to make our church home, anyone, member or otherwise, who deigned to suggest a better translation of even a single word of the KJV was immediately labeled a “Bible correcter”. They even went so far as to use the scripture Romans 16:17 “… mark them which cause divisions and offences contrary to the doctrine which ye have learned ; and avoid them.” in order to justify and enforce this dogma. We’re all free to draw our own conclusions as to what constitutes good, right, and healthy. But I’ve also learned that there is such a thing as toxic faith, and it can become a real problem. Just as all of us need oxygen to stay alive, while 100% oxygen for more than a few days can begin to destroy our lungs and will eventually prove lethal, too much of a good thing can be a very bad thing. There’s a great book titled Toxic Faith by Stephen Arterburn & Jack Felton (1991, 2001) which I found quite fascinating. It’s also a book that I would highly recommend to anyone interesting in the topic. Dear Don and Sarah , I have understood this to mean that there are no errors ( that would change the meaning of , although there are obviously differences in occasional spellings , words, etc) in the original texts, and that the King James version comes closest to the correct translation in English . 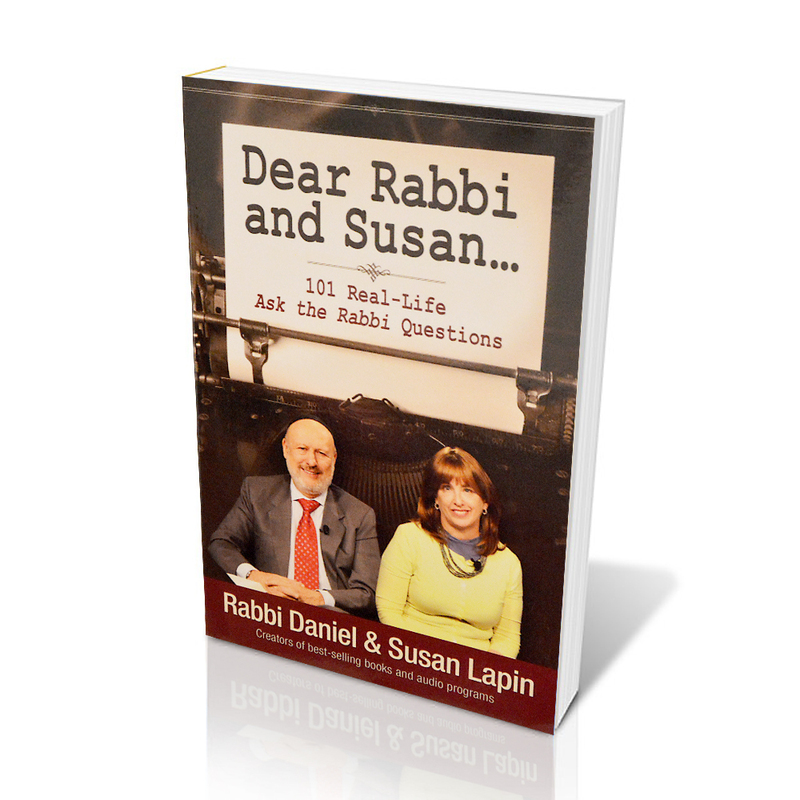 This is why I enjoy reading Susan and Rabbi Lapin’s explanations of Hebrew and their understanding of how it is used. In our Bible study we all bring various translations and read them a verse at a time around the table, often taking time to look words up when translations SEEM to go different directions . We used to have a sweet old Catholic lady who brought her Catholic bible which of course led to lots of discussion and good natured ribbing. ( we are Baptists, Congregationalists, a wide mix of Christians ) What we have found is that although there may have many differences in translation for the most part they do NOT disagree on the basic meaning. I would not base my belief in inerrancy ( of meaning ) on a translation but on the original texts . Just my thoughts. Good point, Karen! Thank you! also…sounds like you have a really great bible study group! I need to see if the Lapin’s have a book with the Hebrew translations. If so…wow…that’d be an invaluable resource. :)) We hope to learn more! I enjoy your Jewish wisdom article’s. May the Master of this universe God almighty bless you and keep you in the palm of his hands. Thank you so much, Kindra. Please explain a bit more. I don’t understand the connection. Thank you. I am sorry. The second half of the quote is where I do not understand the connection. Thanks for giving us the chance to clarify, Sheila. The time periods spoken about here that are different for boy and girl infants, in Leviticus, only applied when the Temple was standing. Only applied when the Temple was standing? I’m still confused. Which temple? 1st Temple, 2nd Temple? With Leviticus being written long before either of these Temples or is it another Temple? I’m a bit lost. Sorry. Both Temples. Leviticus was taught to Moses by God on Mt. Sinai with guidance and laws that did not only, or sometimes at all, apply in the desert. The concepts from when the Temples were standing still affect our lives, but there were things, such as animal sacrifices that don’t exist when the Temple isn’t standing. Thank you for answering a question I’ve had for some time – especially since I’ve been reading Leviticus again: How can you follow the Laws completely without performing the animal sacrifices required “for all time”? I have understood that many laws were for the Jews exclusively, while the principles of Godly life are for everyone. Now I’m beginning to understand the variables within the laws. Always enjoy and learn from your teachings and musings! There’s always more to learn, isn’t there, Sonia? Glad we can help.